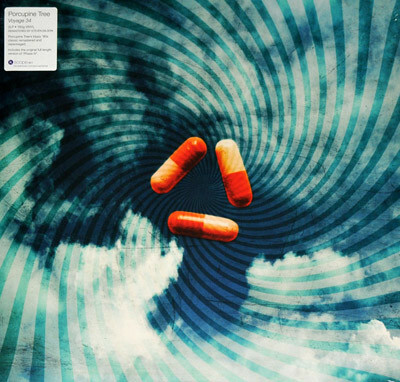 Porcupine Tree's long deleted 30-minute 1992/1993 single Voyage 34 has been a major collector's item for a number of years. It was originally issued in two parts - each made up of two Phases - DOUBLE-VINYL-album compiles the original 30 minute Phase I/Phase II version together with the Astralasia/Porcupine Tree remixes of Phase III and IV. Voyage 34 is a psychedelic journey combining space-rock, psychedelia and ambient trance in a way never attempted before or since. The original was in NME's indie chart for over six weeks despite not having a single review in any publication and became an underground classic in UK clubs in the early '90s. Still a firm favourite amongst Porcupine Tree fans, Voyage 34 utilises an array of counter-cultural LSD documentary samples, spacey ambient textures, driving bass and drum beats and Steve Wilson's soaring guitar work. As a result Voyage 34 crosses the dance/rock boundary with ease. Porcupine Tree still perform Voyage 34 in concert and this set of recordings has been long-awaited by fans of the group.